The Iris-Fiandre Group’s Brand Iris Ceramica presents Marmi 3.0, an unexpected style combination of pure classical elegance and ultra-trendy modern tiles for porcelain floor and ceramic wall solutions. Debuting for the first time in the U.S., Iris Ceramica’s Marmi 3.0 includes the latest in advanced technology and manufacturing capabilities in this new collection of high tech architectural surfaces. 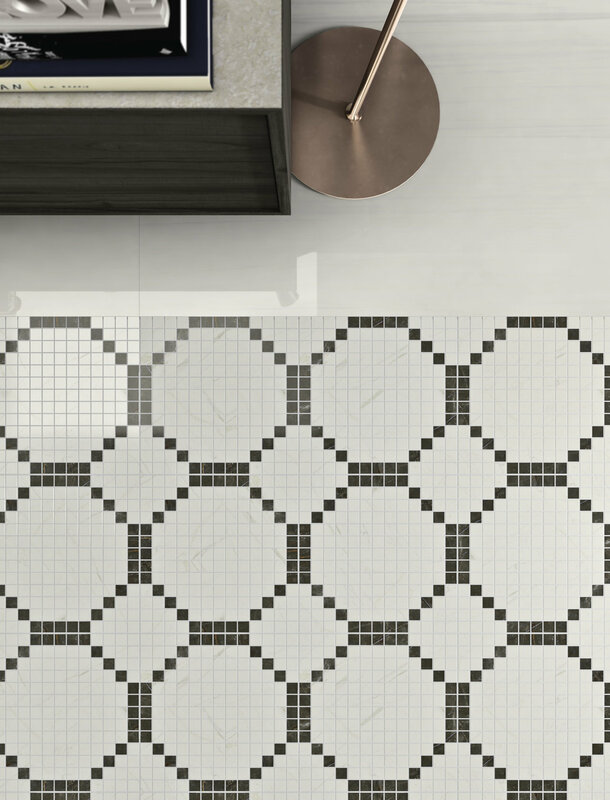 The new Marmi 3.0 collection is now available for the U.S. market through the group’s own distributor, Transceramica as well as through its nationwide network of distributors. The sleek styles and surface solutions are engineered for both commercial and contemporary residential projects. The collection will also soon be on display in the group’s Chicago showroom. 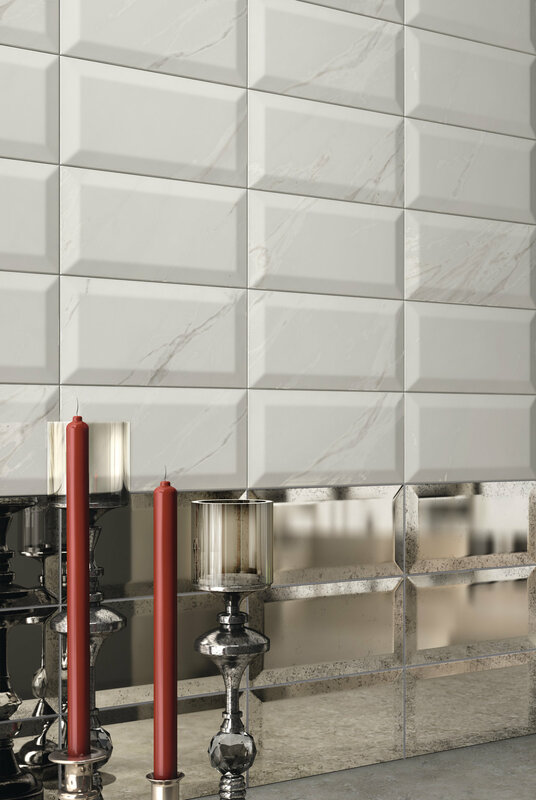 Ceramic wall tiles are available in eight 4” x 8“ glossy colors: White, Black, Black Pulpis, Platino, Venato White, Brown Saint Laurent, Onyx and Oro. The metallic tones add a sense of luxury to any room and the bold, glossy color palette offers a shimmering richness to classic colors. The deep tone background allows the sparkle of gold and platinum to shine. 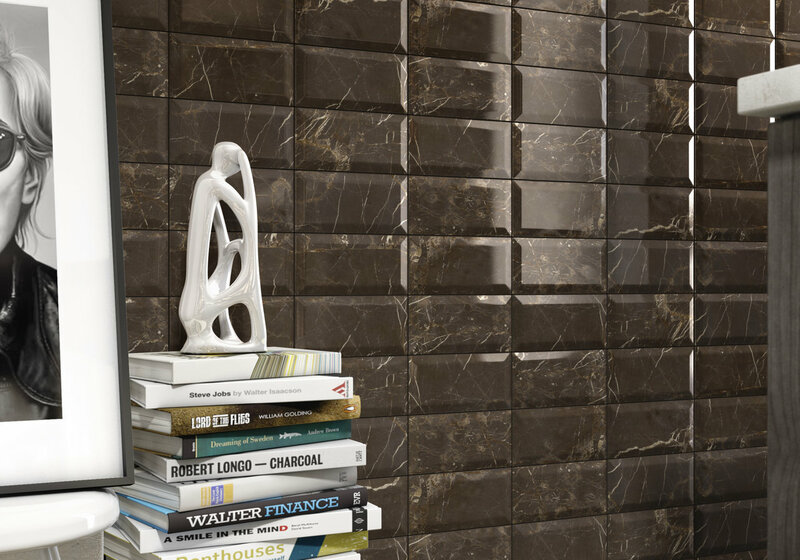 What makes this collection unique is the geometry of the glossy wall tiles that contrast with the classic marble-like surfaces and veins– the perfect balance between linear design and nature with a 3.0 mood. Marmi 3.0 can be described as an old soul with a modern style update. Eight colors and two finishes elegantly emphasize the designs, establishing an inseparable bond between style and architecture. The Iris-Fiandre Group is the global leader in the development and production of high tech architectural surfaces for both interior and exterior applications. Headquartered in Fiorano Modenese, Italy, in the province of Modena, the company is also renowned for its unmatched depth and details of patterns and colors, and sustainability efforts, with up to 55% total recycled content. The Iris-Fiandre Group showcases its products exclusively at five high- end showrooms across the U.S., in Chicago, New York, Los Angeles, Anaheim and San Francisco. For more than 50 years, the group has supplied automotive, healthcare, hospitality and retail clients with an array of architectural and design solutions, in addition to maintaining a U.S. manufacturing facility for more than 10 years in Tennessee.